Dermatitis is a general term that describes an inflammation of the skin. 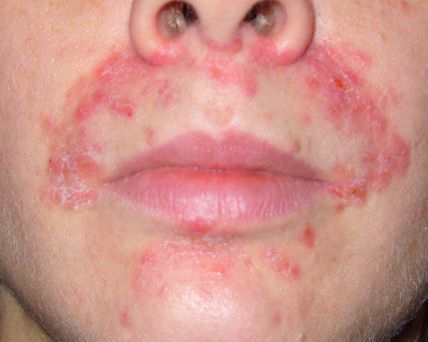 Although dermatitis can have many causes and occurs in many forms. Cannabis preparations have been repeatedly shown to alleviate the symptoms of chronic skin conditions such as eczema and psoriasis, and the endocannabinoid system appears to play an important role in the regulation of various key processes involved in inflammation. Imbalance of the EC system may even be a major underlying cause. 2013 - Study ~ Cannabinoid 1 Receptors in Keratinocytes Modulate Proinflammatory Chemokine Secretion and Attenuate Contact Allergic Inflammation. 2012 - Study ~ Endocannabinoids limit excessive mast cell maturation and activation in human skin. 2012 - Study ~ Cannabinoid receptor type 1 and 2 expression in the skin of healthy dogs and dogs with atopic dermatitis. 2011 - Study ~ Endocannabinoid signaling and epidermal differentiation. 2010 - Study ~ Falcarinol is a covalent cannabinoid CB1 receptor antagonist and induces pro-allergic effects in skin. 2010 - Study ~ Protective role of palmitoylethanolamide in contact allergic dermatitis. 2010 - News ~ Hemp Seed Oil for Skin. 2010 - News ~ Hemp Oil Benefits for Skin. 2009 - Study - Cannabinoid system in the skin - a possible target for future therapies in dermatology. 2009 - Study - The endocannabinoid system of the skin in health and disease: novel perspectives and therapeutic opportunities. 2009 - Study ~ The cannabinoid receptor CB2 exerts antifibrotic effects in experimental dermal fibrosis. 2009 - News - Granny's cannabis skin ointment really did work, new study shows. 2008 - Study ~ Attenuation of Allergic Contact Dermatitis Through the Endocannabinoid System. 2008 - News - Substances Similar To The Body's Own 'Cannabis (Marijuana) Are Necessary For Healthy Skin And May Lead To New Skin Disease Treatments. 2008 - Study ~ Endocannabinoids enhance lipid synthesis and apoptosis of human sebocytes via cannabinoid receptor-2-mediated signaling. 2008 - News ~ Body's Own 'Cannabis (Marijuana)' Is Good For The Skin, Scientists Find. 2008 - News ~ Substances Similar To The Body's Own 'Cannabis (Marijuana) Are Necessary For Healthy Skin And May Lead To New Skin Disease Treatments. 2007 - News ~ Anandamide Regulates Keratinocyte Differentiation by Inducing DNA Methylation in a CB1 Receptor-dependent Manner. 2007 - News - Role seen for cannabis in helping to alleviate allergic skin disease. 2007 - News - Marijuana Might Help Cure Allergic Contact Dermatitis (a.k.a. Poison Ivy). 2007 - News ~ Want Nice Skin? Then Smoke Cannabis! 2007 - News ~ Hashing Out Allergic Contact Dermatitis — Another Medical Use for Marijuana? 2007 - News ~ Cannabis May Help Alleviate Allergic Skin Disease. 2007 - News ~ Constituents Of Hashish And Marijuana May Help To Fight Inflammation And Allergies. 2007 - News ~ Cannabis compound reduces skin allergies in mice. 2007 - News ~ Marijuana Skin Cream? 2007 - News ~ Cannabis for allergic contact dermatitis. 2006 - Study ~ Involvement of the Cannabinoid CB2 Receptor and Its Endogenous Ligand 2-Arachidonoylglycerol in Oxazolone-Induced Contact Dermatitis in Mice. 2005 - Study - Efficacy of dietary hempseed oil in patients with atopic dermatitis. 2004 - Study ~ Hemp-seed and olive oils: their stability against oxidation and use in O/W emulsions. 2003 - Study ~ The Endocannabinoid System in Human Keratinocytes. 2003 - Study ~ Histamine induced responses are attenuated by a cannabinoid receptor agonist in human skin. 1999 - Study ~ Hemp Seed Oil : The Wonder Oil For the New Millennium. 1983 - Study ~ Allergenic properties of naturally occurring cannabinoids. Administering a substance found in the cannabis plant can help the body’s natural protective system alleviate an allergic skin disease (allergic contact dermatitis), an international group of researchers from Germany, Israel, Italy, Switzerland and the U.S. has found. Allergic contact dermatitis is caused by reaction to something that directly contacts the skin. Many different substances (allergens) can cause allergic contact dermatitis. Usually these substances cause no trouble for most people, but if the skin is sensitive or allergic to the substance, any exposure will produce a rash, which may become very severe. Allergic contact dermatitis affects about 5 percent of men and 11percent of women in industrialized countries and is one of the leading causes for occupational diseases. An article describing the work of the international research group, led by Dr Andreas Zimmer from the University of Bonn, was published recently in the journal Science. The article deals with alleviating allergic skin disease through what is called the endocannabinoid system. Among the members of the group is Prof. Raphael Mechoulam of the Hebrew University of Jerusalem School of Pharmacy. In earlier work, Prof.Mechoulam’s research group at the Hebrew University isolated two naturally occurring cannabinoid (cannabis-like) components – one from the brain, named anandamide (from the word ananda, meaning supreme joy in Sanskrit), and another from the intestines named 2-AG. These two cannabinoids, plus their receptors and various enzymes that are involved in the cannnabinoids’ syntheses and degradations, comprise the endocannabinoid system. These materials have similar effects to those of the active components in hashish and marijuana, produced from the cannabis plant. Research by groups throughout the world has since shown that the endocannabinoid system is involved in many physiological processes, including the protective reaction of the mammalian body to a long list of neurological diseases, such as multiple sclerosis, Alzheimer's and Parkinson's. In the article in Science, the researchers detail how the endocannabinoid system serves as a major regulator of cutaneous (skin) contact hypersensitivity (CHS) in a mouse model. In this model, they showed, for example, that mice lacking cannabinoid receptors display exacerbated inflammatory skin responses to an allergen. Because the data indicate that enhanced activation of the endocannabinoid system may function to dampen the CHS response, the researchers administered cannabinoids such as tetrahydrocannabinol (THC), a constituent derived from the cannabis plant, to the experimental animals. They findings showed that the THC significantly decreased the allergic reaction in comparison to untreated mice. In order to better understand the molecular mechanism that may contribute to the increased CHS in cannabinoid-receptor deficient mice, the researchers performed a series of experiments which showed that mouse skin cells produce a specific chemical (a chemokine) which is involved in the annoying disease reaction. Activation of the endocannabinoid system in the skin upon exposure to a contact allergen lowers the allergic responses through modulating the production of this chemokine. The results thus clearly show a protective role for the endocannabinoid system in contact allergy in the skin and suggest that development of cannabinoid compounds based on elements produced from the cannabis plant could enhance therapeutic treatment for humans. Kevin Berman, M.D., Ph.D., is a practicing dermatologist in Atlanta,..
As most of us know, the medicinal use of marijuana is very controversial from a political and moral perspective. This is because marijuana is a drug that has both physiological and psychological effects that have convinced lawmakers that it should be illegal to possess. Today, I'd like to talk about marijuana and its potential, legal use for allergic contact dermatitis. Allergic contact dermatitis is a very common condition that results from physical contact with something that causes an allergic reaction. The most notorious example of allergic contact dermatitis is poison ivy, in which there is a delayed reaction to the contact with poison ivy that leaves a person very itchy about 2 days after being out in the woods or in the garden. Another very common example is a person who is allergic to nickel and breaks out in an itchy rash from earrings, a watch, or the metal buttons and snaps on pants. Allergic contact dermatitis can even be work related. An example would be a construction worker who is allergic to the cement he is working with all day and is forced to change jobs. While all the mechanisms leading to the rash are not clear, we do know that the body has an exaggerated reaction which causes the skin to become hyperactive. In other words, the immune system is overactive in the skin and a rash ensues. Marijuana is derived from the hemp plant, which is also used to make clothes and rope, in addition to its psychoactive and medicinal purposes. 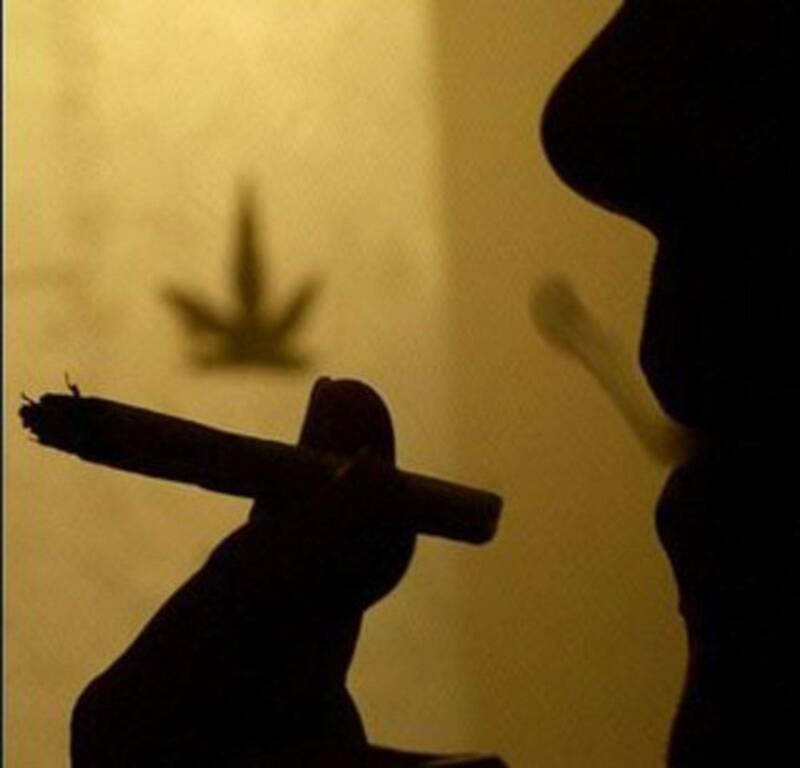 The active elements of marijuana are the cannibinoids, which are responsible for its effect on the human mind and body. In recent years, scientists have discovered that these cannibinoids bind certain receptors in the body and brain, and that our bodies naturally make chemicals that are very similar to the cannibinoids from the marijuana plant. The two main receptors from the marijuana plant are termed CB1 and CB2, and the naturally occurring cannabis like chemicals in the human body are called anandamide (found in the brain) and 2-AG (from the intestine). Their effects are numerous, and as a result, these receptors have theoretical uses in cases of multiple sclerosis, spinal cord injury, pain, inflammatory disorders, glaucoma, bronchial asthma, vasodilatation that accompanies advanced cirrhosis, and cancer. The CB-1 and CB-2 receptors, for example, have been linked to appetite, and they can potentially be used to increase the appetite of emaciated cancer patients. CB-1 and CB-2 have also been linked to pain alleviation, and their use can be easily justified for cancer patients or people with a painful condition of the pancreas called pancreatitis. Several years ago, scientists discovered their potential use for Alzheimer's Disease prevention. Until recently, dermatologists would be hard-pressed to find a reason to suggest that a patient use cannabis for his or her skin. However, several months ago, scientists tested a mouse with hypersensitive skin to show the potential use of marijuana in allergic contact dermatitis. Mice are a useful investigative tool in science because their genes can be manipulated, and at the gene/cell level people and mice are remarkably similar. For this reason, experiments are performed on mice and their conclusions are usually assumed safe for testing on humans. Scientists from Hungary, Germany and the U.K. have discovered that our own body not only makes chemical compounds similar to the active ingredient in marijuana (THC), but these play an important part in maintaining healthy skin. This finding on "endocannabinoids" just published online in, and scheduled for the October 2008 print issue of, The FASEB Journal could lead to new drugs that treat skin conditions ranging from acne to dry skin, and even skin-related tumors. "Our preclinical data encourage one to explore whether endocannabinoid system-acting agents can be exploited in the management of common skin disorders," said Tamás Biró, MD, PhD, a senior scientist involved in the research. "It is also suggested that these agents can be efficiently applied locally to the skin in the form of a cream." Biró and colleagues came to this conclusion by treating cell cultures from human sebaceous glands (the glands that make the oil on our skin) with various concentrations of endocannabinoids (substances produced by the body that are similar to the active ingredient in marijuana). Then they measured the production of lipids (fat cells, such as those in skin oil), cell survival and death, and changes in gene expression and compared these outcomes to those in an untreated control group. "This research shows that we may have something in common with the marijuana plant," said Gerald Weissmann, MD. "Just as THC is believed to protect the marijuana plants from pathogens, our own cannabinoids may be necessary for us to maintain healthy skin and to protect us from pathogens ." This article is scheduled for final publication in the November 2008 issue of The FASEB Journal (http://www.fasebj.org/), which is published by the Federation of American Societies for Experimental Biology (FASEB) and is the most cited biology journal worldwide according to the Institute for Scientific Information. FASEB comprises 21 nonprofit societies with more than 80,000 members, making it the largest coalition of biomedical research associations in the United States. FASEB advances biological science through collaborative advocacy for research policies that promote scientific progress and education and lead to improvements in human health. Department of Clinical Immunology, Ludwik Hirszfeld Institute of Immunology and Experimental Therapy, Polish Academy of Sciences, Wroclaw, Poland. Cannabinoids and their derivatives are group of more than 60 biologically active chemical agents, which have been used in natural medicine for centuries. The major agent of exogenous cannabinoids is Delta(9)-tetrahydrocannabinol (Delta(9)-THC), natural psychoactive ingredient of marijuana. However, psychoactive properties of these substances limited their use as approved medicines. Recent discoveries of endogenous cannabinoids (e.g. arachidonoylethanolamide, 2-arachidonoylglycerol or palmithyloethanolamide) and their receptors initiated discussion on the role of cannabinoid system in physiological conditions as well as in various diseases. Based on the current knowledge, it could be stated that cannabinoids are important mediators in the skin, however their role have not been well elucidated yet. In our review, we summarized the current knowledge about the significant role of the cannabinoid system in the cutaneous physiology and pathology, pointing out possible future therapeutic targets. Published 11 August 2009 in Exp Dermatol, 18(8): 669-79. A hundred years ago, an over-the-counter cannabis extract ointment was sold as a household remedy for eczema and other allergic skin reactions, but was later withdrawn from the market as a quack product. Now scientists in Germany have discovered that cannabis does in fact reduce the itching and swelling of allergic skin reactions and they have called for a reappraisal of granny's household remedy. Bíró T, Tóth BI, Haskó G, Paus R, Pacher P.
The newly discovered endocannabinoid system (ECS; comprising the endogenous lipid mediators endocannabinoids present in virtually all tissues, their G-protein-coupled cannabinoid receptors, biosynthetic pathways and metabolizing enzymes) has been implicated in multiple regulatory functions both in health and disease. Recent studies have intriguingly suggested the existence of a functional ECS in the skin and implicated it in various biological processes (e.g. proliferation, growth, differentiation, apoptosis and cytokine, mediator or hormone production of various cell types of the skin and appendages, such as the hair follicle and sebaceous gland). It seems that the main physiological function of the cutaneous ECS is to constitutively control the proper and well-balanced proliferation, differentiation and survival, as well as immune competence and/or tolerance, of skin cells. The disruption of this delicate balance might facilitate the development of multiple pathological conditions and diseases of the skin (e.g. acne, seborrhea, allergic dermatitis, itch and pain, psoriasis, hair growth disorders, systemic sclerosis and cancer). BACKGROUND: Hempseed oil is a rich and balanced source of omega-6 and omega-3 polyunsaturated fatty acids (PUFAs). Anecdotal evidence indicated that dietary hempseed oil might be useful in treating symptoms of atopic dermatitis. PATIENTS AND METHODS: Dietary hempseed oil and olive oil were compared in a 20-week randomized, single-blind crossover study with atopic patients. Fatty acid profiles were measured in plasma triglyceride, cholesteryl and phospholipid fractions. A patient questionnaire provided additional information on skin dryness, itchiness and usage of dermal medications. Skin transepidermal water loss (TEWL) was also measured. RESULTS: Levels of both essential fatty acids (EFAs), linoleic acid (18:2n6) and alpha-linolenic acid (18:3n3), and gamma-linolenic acid (GLA; 18:3n6) increased in all lipid fractions after hempseed oil, with no significant increases of arachidonic acid (20:4n6) in any lipid fractions after either oil. Intra-group TEWL values decreased (p=0.074), qualities of both skin dryness and itchiness improved (p=0.027) and dermal medication usage decreased (p=0.024) after hempseed oil intervention. CONCLUSIONS: Dietary hempseed oil caused significant changes in plasma fatty acid profiles and improved clinical symptoms of atopic dermatitis. It is suggested that these improvements resulted from the balanced and abundant supply of PUFAs in this hempseed oil. 2009 - 2019 copyright © Cannabis Research Ⓐ-Z. This website also contains third party credited copyrighted material. All rights reserved.